CS Santosh insists his commanding win in Desert Storm proves that he’s still the best cross-country rider in the country. After his heroics in 2015 Dakar, when he became the first Indian to finish the 9,000 km grueling rally, the Indian had a premature end to his 2016 journey, with a technical issue. 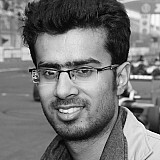 While most will consider it as a minor blip in an otherwise sumptuous career, Santosh reiterated his position with a dominating win in the 2016 Desert Storm, against his former employers, TVS. “I knew I had tough competition and I needed to make a point and show everybody that I’m still the best in the country,’’ Santosh told Motorsport.com in an exclusive interview. “I hadn’t competed with TVS since I left them in 2011. I’ve always been with the team and this is the first time I’ve competed against them. "So, it’s always good to show your former employers what you are capable of,’’ he added. 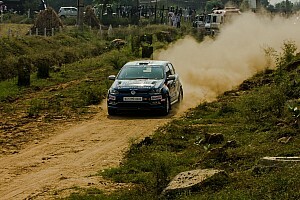 The Bangalore-based rider felt the Indian cross-country rally, proved to be sterner challenge to participants this year, with the organisers having shifted the event to April. Having been traditionally held in February, the decision to move it two months later meant, the participants had to bear intense temperatures of over 45C, in the Thar Desert. "You could definitely feel the heat,’’ said Santosh. "Usually in the morning in the previous editions, the start used to be really cold. “Also, they had new stages this year which were quite challenging because most of the stages were really fast and tough. “On a motorcycle it was really enjoyable for me and technical and I could really shine,’’ he added. 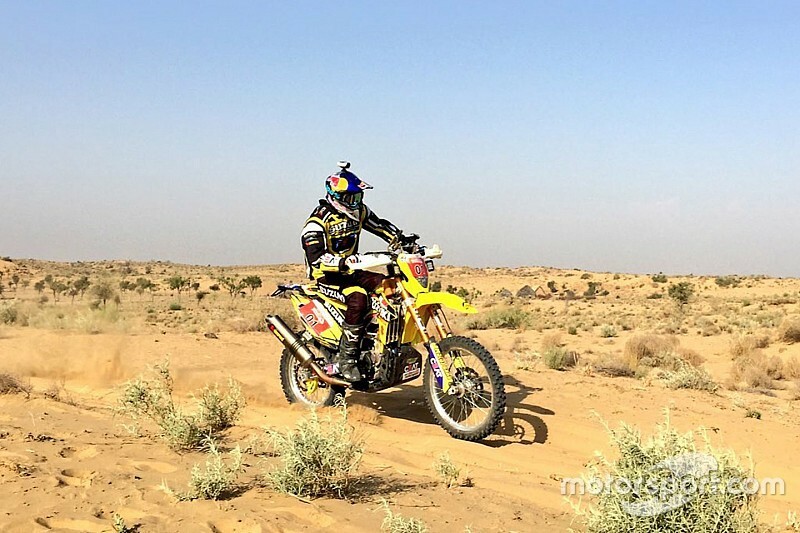 The only anomaly in an otherwise flawless run for Santosh was missing the passage control during a night stage - something that cost him an hour’s time in penalty, but failed to prevent him from clinching his third successive Desert Storm crown. “It just so happened that I came to the passage control, I didn’t realise I had to stop because the flags were not visible for me. While Santosh’s sophomore outing in Dakar was marred with bike-related gremlins, the Indian encountered no such issues when he took the Dakar-spec Suzuki RMX 450Z to Desert Storm. 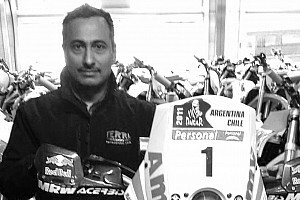 Santosh also revealed that several bike upgrades are in the pipeline in the run up to 2017 Dakar. “This was the same Dakar-spec Suzuki bike. The difference is that we did testing on the motorcycle and we had enough time. Following his success in Desert Storm, Santosh will head to Morocco for his debut run in the Merzouga Rally, part of the Dakar series. He will also be seen in the Wings for Life charity event next month.